Arrival at Beijing and transfer to Urumqi, capital of the independent province of Xinjiang. After the arrival at Urumqi, meet the local English-speaking tour guide and transfer to the hotel. During the evening, enjoy a typical Muslim dinner. Overnight stay at the hotel. After breakfast transfer to the airport and flight to Kashgar. At the arrival meeting a local English-speaking tour guide and visit the Id Kah Mosque, with its domes and minarets is considered the biggest Mosque in China. Visit the artisans street, where you can find experts in musical instruments, jewellery, goldsmith’s art and so many others. Lunch at local restaurant. Continue visiting Abjak Hoja Mausoleum, he was a Muslim leader during the 17th century. After the visit back to the hotel. Dinner not included. Overnight stay at the hotel. 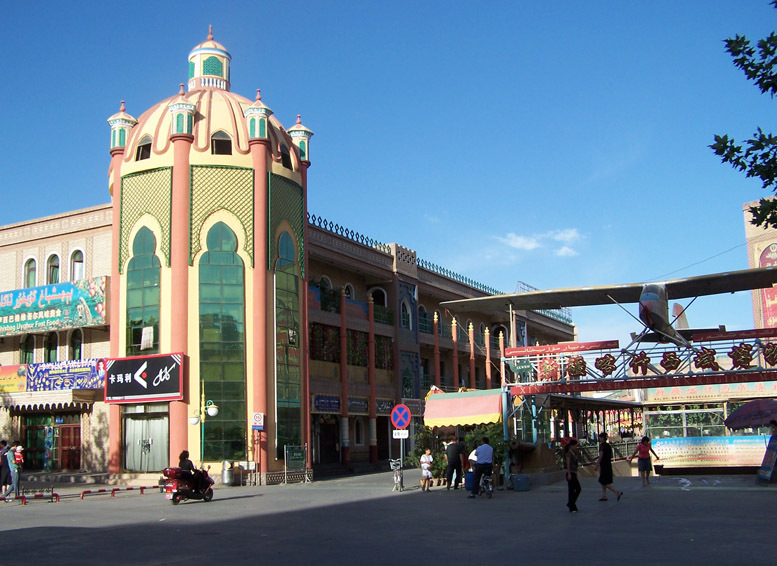 NB: Kashgar Sunday market is the best know and the biggest of the area. In case of customers can’t visit it, there are other markets on the same style in some villages close to Khotan. They are open every day, not only on Sunday. After breakfast transfer by car to Karakul Lake (far away 200km, about 4hours by car), the largest lake of Pamir upland. During the itinerary you will admire Karakoram Highway and the glaciers on the top of mount Konghur in the Pamir upland. Lunch at a local restaurant. At the end of the visit, back to Kashgar. Dinner not included. Overnight stay at the hotel. After breakfast, transfer by private car to Khotan. 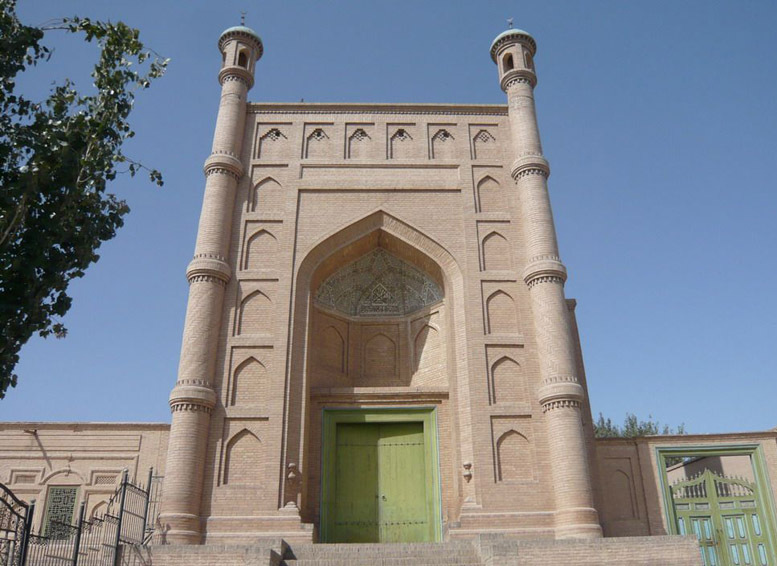 Khotan was the capital of the Kingdom of Khotan, nowadays known with the modern Chinese name of “Hetian”. During the itinerary you can find small and big oasis. Lunch at local restaurant. Stop at Damko Village where you can admire one of the smallest temple in the world (4.5 square-metres). After the arrival at Khotan transfer to the hotel. Dinner not included. Overnight stay at the hotel. After breakfast, visit one of the family-run silk factories, here will be illustrated the process of making mulberry paper, after visit one carpet factory. Lunch at a local restaurant. Going on relaxing on The Yurungkash River bank, where you can also observe jade rocks diggers working. May be the luckiest can find their own jade rocks. Lunch at a local restaurant. After lunch, we continue to Minfeng. After the arrival, transfer to the hotel and check-in. Dinner not included. Overnight stay at the hotel. After breakfast departure for Kucha (travel time about 8 hours), important and ancient caravan town. During the itinerary you can admire how the landscape changes in views of mountains, oasis, Gobi desert and beautiful poplar trees. Lunch at a local restaurant. After the arrival at Kucha , transfer to the hotel and check-in. Dinner not included. Overnight stay at the hotel. After breakfast visit the Kizil Buddhist caves, or Kizil one thousand Buddha caves, the most ancient and well-know caves in China, far away about 75km (1 and half hour of itinerary) from Kucha. Lunch at a local restaurant. At the end of the visit return to Kucha and visit to Subashi ruins, that was the capital long time ago. Dinner not included. Overnight stay at the hotel. After breakfast, departure for Korla. During the travel we pass through Taklamakan desert one of the biggest in the world, his name means "from here you can’t go back". You will enjoy a really enchanting landscape. Lunch at a typical restaurant. After the arrival at Korla visit The Old City and Tiemenguan (the iron door pass), that played a key role of protection during the barbarian invasions for the Silk Road. Dinner not included. Overnight stay at the hotel. After breakfast departure for Turpan, in the past was an important commercial centre and fertile oasis. During the itinerary stop for visiting Bosten Lake, the biggest freshwater lake in China, mini-cruise. Arrived at Turpan check-in at the hotel. Lunch at a local restaurant. Dinner not inclueded. Overnight stay at the hotel. After breakfast visit The Inflamed Mountain, sand and red rocks high grounds range. We continue with The Bezeklikn One Thousand Buddha caves, complex of Buddhist caves of the 5th-9th century and the Astana Tombs. Lunch at a local restaurant. In the afternoon visit the ancient city of Gaocheng, built as a garrison, point of stop for the merchants that were travelling through the Silk Road. Became after the capital from the 3rd to the 13th century B.C. At the end of the visit transfer to the Tuyuq valley. At the end of the visit return to Turpan. Dinner not included. Overnight stay at the hotel. After breakfast visit to Sugong Minaret, height 44 metres and diameter 10 metres, built during Qianlong Emperor period from Turpan Prefecture Supervisor as homage to his father. Lunch at a local restaurant. We continue visiting the ancient city Jiao He at the sunset. The city, the best preserved ruin in all China, played an important military role for the history of the Country. Dinner not included. After dinner transfer to the train station and train to Dunhuang. Overnight stay at the hotel. NB: Turpan-Dunhuang train arrives at Liuyuan station, located 160km far from the city of Dunhuang, about 2 hours by car. After the arrival at Dunhuang, meet the local English-speaking tour guide and transfer to the hotel. 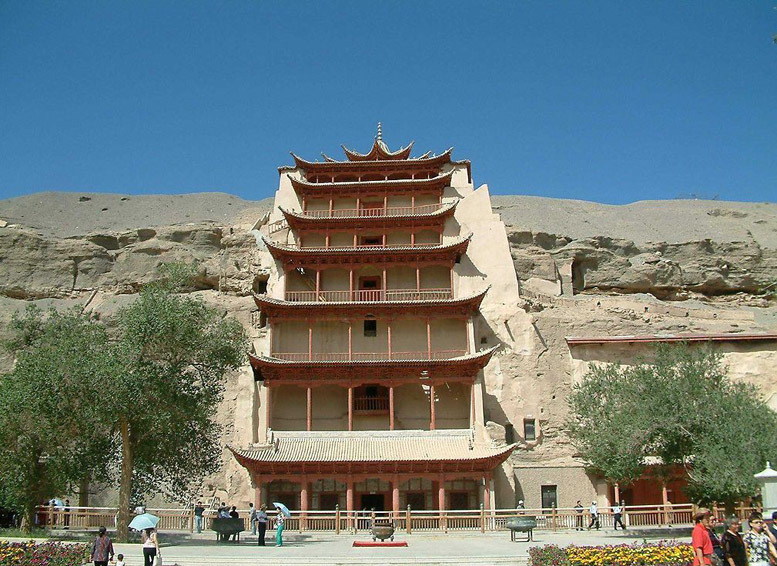 Visit Mogao Caves, characteristic for the huge quantity of statues built from the Buddhist Monk during the centuries, it is one of the best preserved example of Buddhist art. Lunch at a local restaurant. In the afternoon, visit to Mingsha Mountain, Singing Sand mountain and to Yueya Quan, Half Moon Oasis, a fresh water pond in the desert that was very important for local population. Dinner not included. Overnight stay at the hotel. Camel ride NOT included. After breakfast transfer to the airport and flight back to Beijing. After the arrival at Beijing, take the shuttle bus to the hotel. Lunch not included. Day free with guide at disposal. Dinner not included. Overnight stay at the hotel.